2. Click on the Accounts button in the top row of icons. 3. Choose account for which you want to change password. 4. Change password in Password field. 5. Locate the section named “Outgoing Mail Server (SMTP)”. There is a pop-up list to the right. 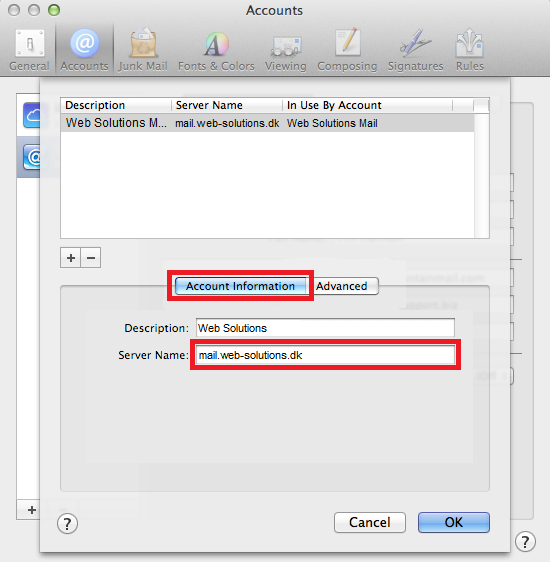 Click on the list and select “Edit SMTP Server List” from the bottom of the list. 6. Click the Advanced button. Use the picture below as a guide. 7. In the Password field, type in your new password. 8. 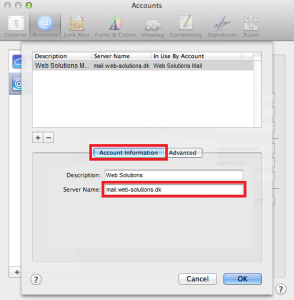 If you need to change outgoing server (SMTP), click Account Information button and change server. Use the picture below as a guide. 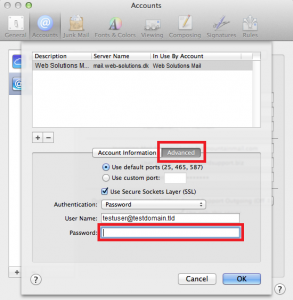 How to set e-mail client on Mac? 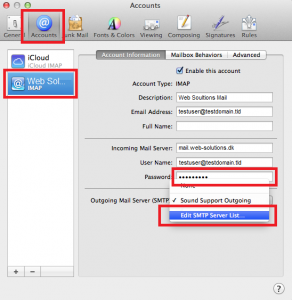 How to set Windows Mail client? 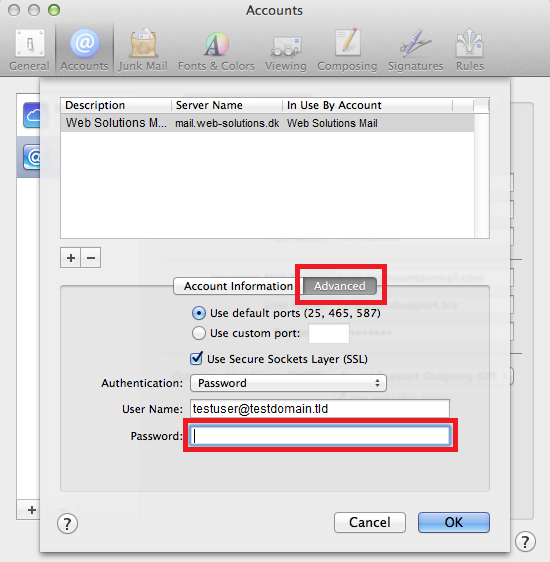 How to set Thunderbird Mail client?